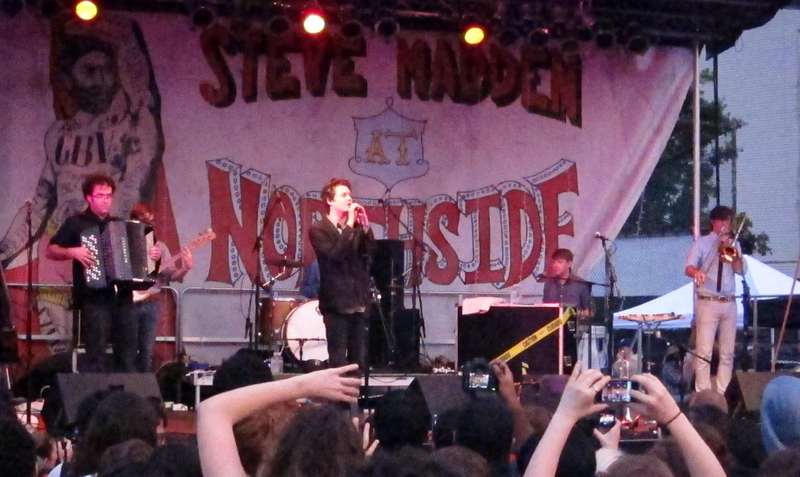 Beirut comes home, joined by Sharon Van Etten and Yellow Ostrich | Will You Miss Me When I'm Gone? 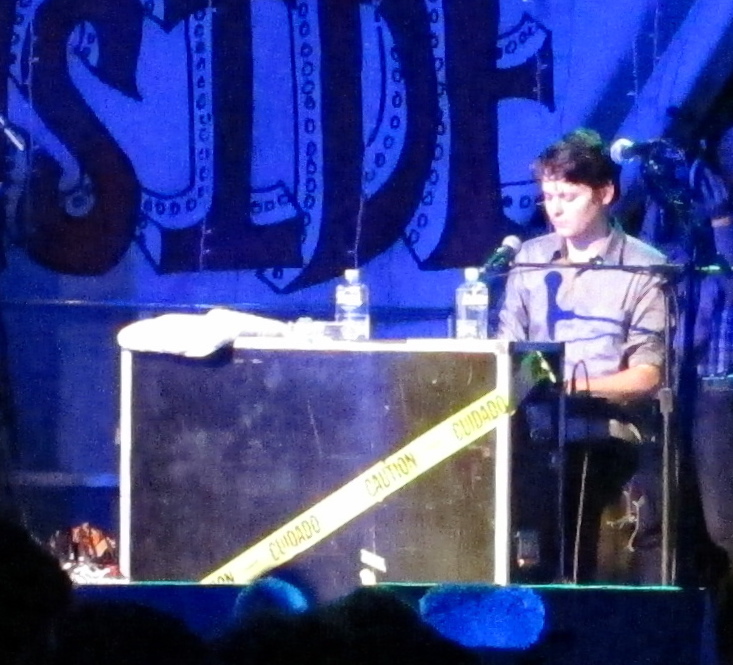 Zach Condon: "I've always wanted to be a piano man." Beirut played all the old favorites, but threw in a couple of tunes from its upcoming album, The Rip Tide, which the band is releasing on its own label, Pompeii Records, on Aug. 30. Beirut clearly had a lot of fun at this show, and the crowd ate up the energy. It was a beautiful homecoming. 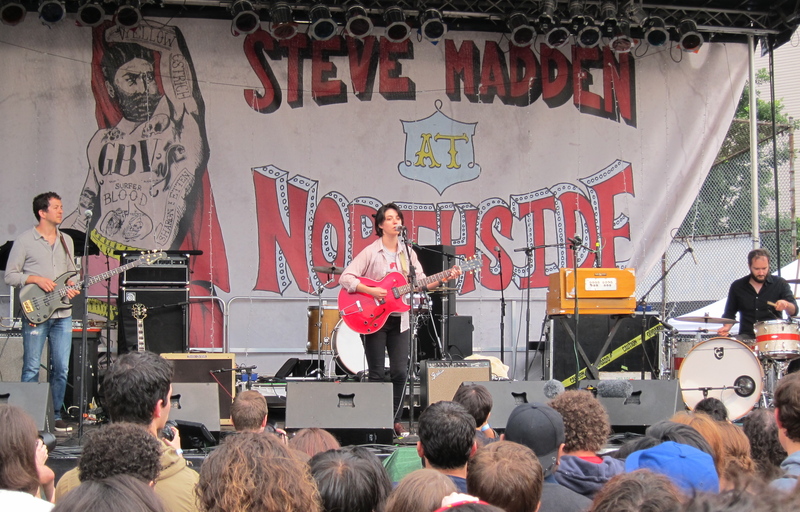 Sharon Van Etten and her band. For us, Van Etten’s set was the real treat of the evening. Not to take anything away from either of the other bands, but her music touches us in ways that few artists ever have. Her raw, honest lyrics and beautiful, rough-edged vocals can —and do — make grown men cry. Van Etten really delivered. Despite a problematic sound mix early on, she overcame it and won over the crowd with a solid set of ve us a strong — and loud — set of her classics like “Love More,” “Save Yourself” and “Consolation Prize.” But she also gave the audience of a taste of what’s next, performing a couple of new tunes that seemed to further develop the the sinuous, near-dronelike vocal path of her recent material. 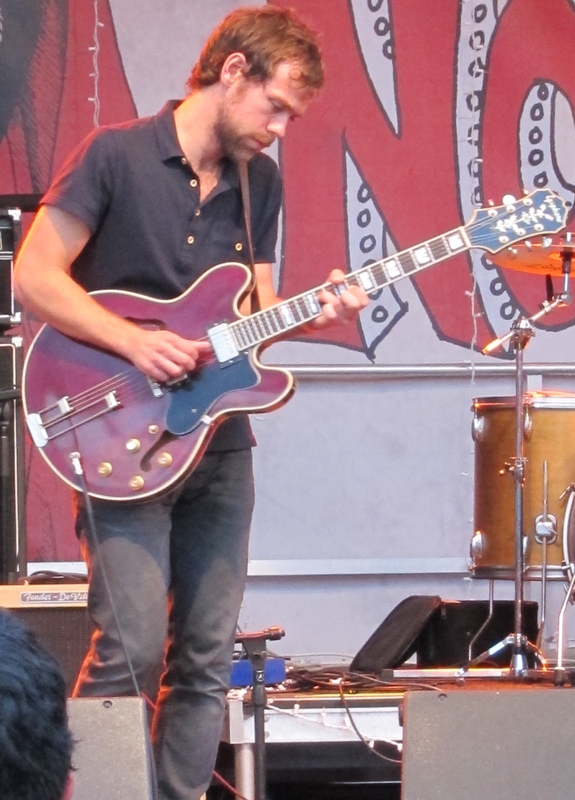 Guitar wizard Aaron Dessner of The Nationaljoined her for the first new song. 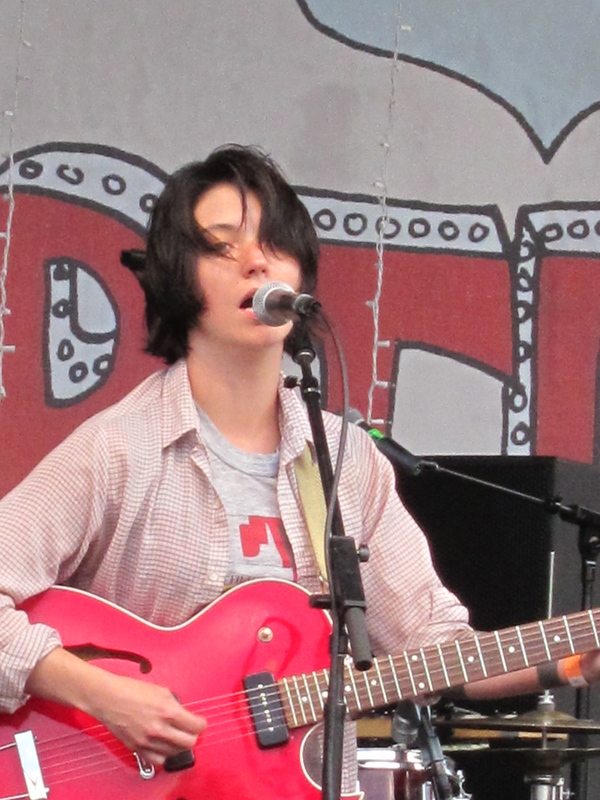 The National's Aaron Dessner joins Sharon Van Etten and her band. 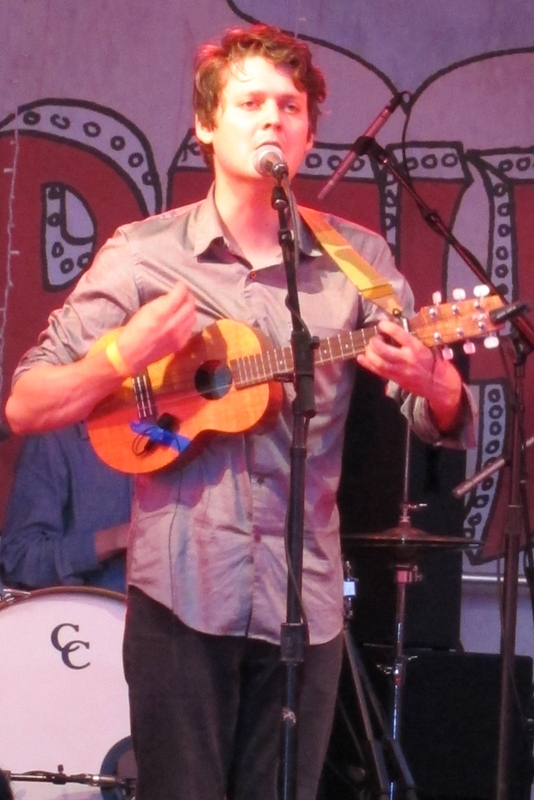 Yellow Ostrich, which became a trio in January when former Beirut-er and drummer/multi-instrumentalist Jon Natchez joined guitarist/vocalist Alex Schaaf and drummer Michael Tapper, took the stage first, around 6:30 p.m. The rain stopped just in time. The band, based in New York with roots in Wisconsin (Schaaf studied at the Wisconsin Conservatory of Music) , played a pleasant, tight set of songs that prominently featured some of Schaaf’s skillful live-looping of vocals. 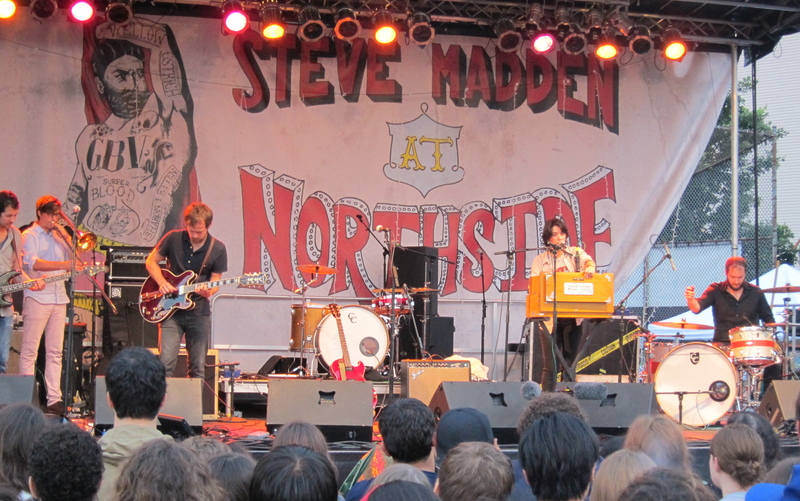 Yellow Ostrich at the 2011 Northside Festival: Jon Natchez, Alex Schaaf and Michael Tapper. 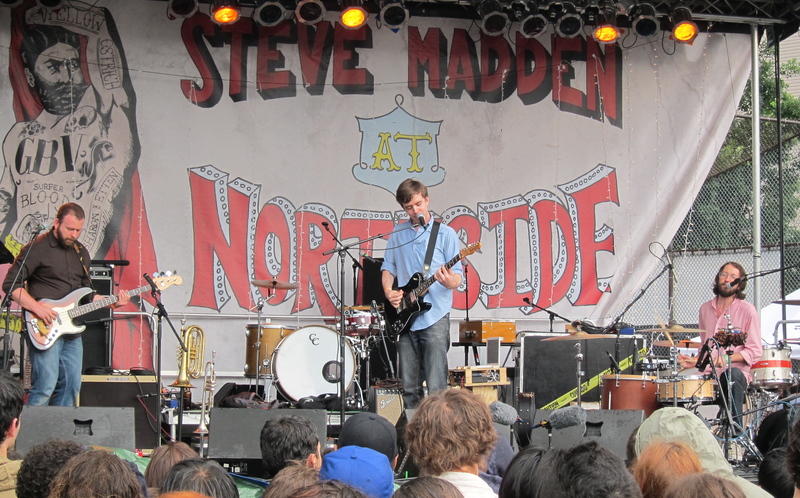 This entry was posted in Concerts, Music, Pop and Rock, Review, World Music and tagged Aaron Dessner, Alex Schaaf, Beirut, Brooklyn, Jon Natchez, McCarren Park, Michael Tapper, Northside Festival, Sharon Van Etten, Steven Madden, Williamsburg, Yellow Ostrich, Zach Condon. Bookmark the permalink.